California Fuel Cell Partnership - A collaboration of organizations, including auto manufacturers, energy providers, government agencies and fuel cell technology companies, that work together to promote the commercialization of hydrogen fuel cell vehicles. Fuel Cell Dictionary - Searchable fuel cell dictionary from the ITS-Davis FCV Center in partnership with Word++. Fuel Cell Europe - Information on fuel cell technology and development, papers and presentations, links to fuel cell manufacturers and other fuel cell organisations. Fuel Cell Store - Offers products such as electrolysers that generate hydrogen from water, hydrogen storage products, and fuel cells that use hydrogen for generating electricity. Fuel Cell Today - Global internet portal promoting the commercialisation of fuel cells. Aimes at research scientists, marketers, journalists, and end users. Fuel Cells 2000 - Promotes the development and early commercialization of fuel cells and related pollution-free, efficient energy generation, storage and utilization technologies and fuels. Fuel Cells Texas - Seeks to accelerate the broad commercialization and deployment of fuel cells in the state of Texas. Hydrogen & Fuel Cell Letter - Newsletter of the international hydrogen and fuel cell communities, covering events and developments every month worldwide. Hydrogen and Fuel Cells - This site has been designed for individuals interested in fuel cell commercialization, particularly technology manufacturers, members of standard-setting organizations, building code officials, utility representatives, builders, technology and energy advocates, and design professionals. National Fuel Cell Research Center (NFCRC) - Promotes a fuel cell industry. Research, publications, technical database, links. U.S. Fuel Cell and hydrogen Energy Association - Industry association dedicated to fostering the commercialization of fuel cells in the United States. Zero-Emission Vehicle Program - California Air Resources Board program designed to reduce emissions from mobile sources. Also see, Incentive Programs for Alternative Fuels and Vehicles. ABA Section of Environment, Energy and Resources - Also provides resources. Alcohol Can Be a Gas - With alcohol fuel, you can become energy independent, reverse global warming, and survive Peak Oil in style. Alcohol fuel is "liquid sunshine" and can't be controlled by transnational corporations. You can produce alcohol for less than $1 a gallon, using a wide variety of plants and waste products, from algae to stale donuts. American Solar Energy Society (ASES) - Solar energy information source for everyone from public officials to private homeowners. 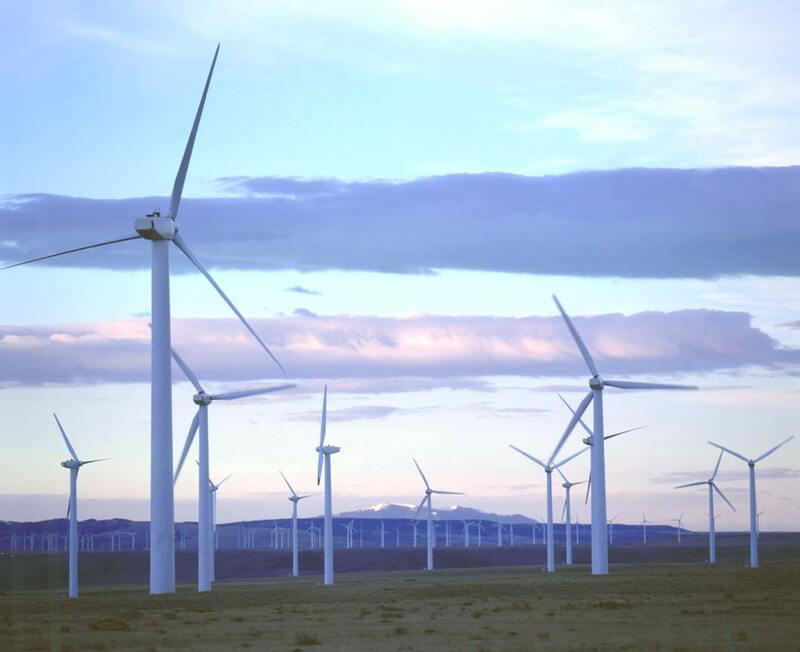 American Wind Energy Association (AWEA) - Site includes Wind Energy News Highlights and Into the Wind blog. Babcock & Wilcox Vølund - Manufactures, constructs, maintains and operates renewable energy plants. Beyond Extreme Energy (BXE) - Believes that massive and coordinated grassroots-based campaigns are needed to confront extreme energy extraction and the climate crisis. Through these campaigns and other actions, BXE helps to build people power that leads to a political tipping point that seriously sets back the fossil fuel industry’s continuing efforts to keep the world dependent on fracking, nuclear reactors, mountaintop removal coal extraction, tar sands oil and other dirty and dangerous forms of energy. Biomass - Latest news on biomass power, fuels and chemicals. Bonneville Environmental Foundation (BEF) - Supports watershed restoration programs and development of new sources of renewable energy. Cape Wind - Wind farm in planning stages for Cape Cod. On average, Cape Wind will produce an amount of electricity equal to about three-quarters of what is used on Cape Cod and the Islands. CEERT - A coalition of the nation's leading environmental and public interest groups and innovative technology companies working to develop America's clean, renewable energy resources. CEERT campaigns cover a wide range of issues, including sustainable electrical generation policies throughout the West. Centre for Alternative Technology (CAT) - Information on sustainable living. Clean Technica - Cleantech news and commentary. CleanPower - Nonprofit public-benefit organization founded as Center for Energy Efficiency and Renewable Technologies (CEERT) in Sacramento, California. Scientists, environmentalists, public interest advocates and innovative energy technology companies work to promote sustainable resources and nonpolluting technologies to meet the world's appetite for energy. Its work is organized into discrete policy advocacy projects focused on renewable energy development issues. Climate Ark - Climate change and renewable energy portal. Do-It-Yourself Solar Panels - How to build DIY solar panels out of pop-cans. DSIRE (Database of State Incentives for Renewable Energy) - A comprehensive source of information on state, local, utility, and federal incentives and policies that promote renewable energy and energy efficiency. Established in 1995, DSIRE is an ongoing project of the NC Solar Center and the Interstate Renewable Energy Council funded by the U.S. Department of Energy. Energy Matters - One of Australia's largest companies solely dedicated to solar energy; with warehouses around the country and a staff of over 100. Energy Transition - Aims to explain the "German Energy Transition," how it works and what challenges lay ahead, to an international audience. EnergyandMines - Connecting the mining sector with affordable, reliable hybrid and renewable power solutions. ETSU - An internationally recognised center of excellence in energy efficiency and sustainable energy technologies, ranging from clean coal to solar, wind and wave power and energy derived from biomass. Global Wind Energy Council (GWEC) - International trade association for the wind power industr. Google: Powering a Clean Energy Revolution - Google is launching RE<C, a strategic initiative whose mission is to develop electricity from renewable sources cheaper than electricity produced from coal. Initially, this project will focus on advanced solar thermal power, wind power technologies, and enhanced geothermal systems - but it will also explore other potential breakthrough technologies. GRACE - GRACE Communications Foundation highlights the interconnections of food, water and energy, educating consumers, advocates and policy makers through web-based initiatives like the Ecocentric blog, Eat Well Guide, The Meatrix, Sustainable Table, the Network for New Energy Choices and H2O Conserve. Green-e - Independent certification and verification program for renewable energy and greenhouse gas emission reductions in the retail market, setting consumer-protection and environmental-integrity standards for greenhouse gas (GHG) emission reductions sold in the voluntary market. Green Power Partnership - The EPA's voluntary program designed to reduce the environmental impact of conventional electricity generation by promoting renewable energy. GreenTechMedia - A leading source of news and research on green technology and the cleantech movement. Analysis and networking events on clean and renewable energy. Harness the Power of the Sun: The Complete Guide to Using Solar Energy - A guide from ImproveNet guide is designed to give you everything you need to know about converting to solar. International Renewable Energy Agency (IRENA) - An intergovernmental organisation that supports countries in their transition to a sustainable energy future. Serves as the principal platform for international cooperation, a centre of excellence, and a repository of policy, technology, resource and financial knowledge on renewable energy. Interstate Renewable Energy Council (IREC) - IREC, formed in 1982 as a non-profit organization, supports market-oriented services targeted at education, coordination, procurement, the adoption and implementation of uniform guidelines and standards, workforce development, and consumer protection. IREC's mission is to accelerate the sustainable utilization of renewable energy sources and technologies in and through state and local government and community activities. Institute for Solar Living (ISL) - Over half a million people have visited ISL's 12-acre Solar Living Center located in Hopland, California. The site is powered entirely by working renewable energy systems, and features a 5,000 sq. foot strawbale building with innovative passive solar design and the creative use of recycled materials. International Human Powered Vehicle Association (IHPVA) - Dedicated to promoting improvement, innovation and creativity in the use of human power, especially in the design and development of human-powered vehicles. International Solar Energy Society (ISES) - ISES is the largest organization in the world in the field of research, utilisation and promotion of renewable energy technology with more than 30,000 members in over 100 countries. London Array - A consortium of three world-leading renewable energy companies (Dong Energy, E.ON, and Masdar) who are combining to develop and build the world's largest offshore wind farm. The London Array Offshore Wind Farm is located 20km (12 miles) from the Kent and Essex coasts in the outer Thames Estuary. National Energy Foundation - Set up in 1990 to help UK citizens address these through practical advice and help in installing energy saving measures and implementing appropriate renewable energy sources. National Renewable Energy Laboratory (NREL) - A leading center for renewable energy and energy efficiency research. New Energy World Network (NewNet) - Connecting investors, innovators and dealmakers: Mission is to inform and connect the global green investment and sustainable business community in order to facilitate investment in innovation and promote sustainable business opportunities. Northern California Solar Energy Association (NCSEA) - A non-profit educational organization whose mission is to accelerate the use of solar energy technology through the exchange of information. Oil Change International - A research, communication, and advocacy organization focused on exposing the true costs of fossil fuels and facilitating the coming transition towards clean energy. Orkney Renewable Energy Forum (OREF) - Promotes renewable energy projects within Orkney, an archipelago of 70 islands off the northern tip of Scotland. Members of the Forum include representatives of the local authority, renewable energy generators, energy experts, civil engineers, environmental consultants and electrical engineering companies, amongst others. PlanetarySystems - Products and systems promoting renewable energy and sustainable living. Project Laundry List - Making air-drying laundry acceptable and desirable as a simple and effective way to save energy. "All citizens nation-wide should have the legal right to hang out their laundry." Public Citizen: Clean Energy - News releases, reports, recommendations, comments, filings, publications, links. PV Power Resource Site - This is a site for the coordination and dissemination of information of global photovoltaic (PV) technologies, applications, history, and resources. Photovoltaics is a semiconductor technology that silently converts light energy into direct-current (dc) electricity, with no moving parts, burning no fuel, and creating no pollution. Renewable Energy Policy Project (REPP) - REPP investigates the relationships among policy, markets, and public demand in order to advance renewable energy technologies including biomass, hydropower, geothermal, photovoltaic, solar thermal, wind, and renewable hydrogen. Renewable Energy World - Award winning magazine for renewable energy professionals. Accentuates the achievements and potential of all forms of renewable energy sources and the technologies being developed to harness them. Renewable Fuels Association (RFA) - ational trade association for the U.S. ethanol industry. Renewable Resource Data Center (RReDC) - Provides access to an extensive collection of renewable energy resource data, maps, and tools. Biomass, geothermal, solar, and wind resource data for locations throughout the United States can be found through the RReDC. Renewables International - German magazine covering wind energy, solar energy, bioenergy, and other renewable energy-related news. RenewEconomy - Australian website focusing on clean energy news and analysis, as well as climate policy. Rocky Mountain Institute (RMI) - Advances market-based solutions, engaging businesses, communities, and institutions to cost-effectively shift to efficiency and renewables. Sierra Club: Energy - Tools to increase clean, renewable energy such as solar, wind, geothermal and clean biomass. Resources on energy efficiency, the Bush energy plan, energy saving tips, global warming, and more. Solar Electric Power Association (SEPA) - SEPA, a reliable resource for solar intelligence, is comprised of over 560 utilities and solar industry members. Solar Estimate - Online resource linking consumers to solar professionals. Solar Impulse - Working on solar-powered airplanes. Solar Love - Solar energy news and commentary. Solarbuzz - Portal to the world of solar energy. SolarElectric - Online store for renewable energy products. Source for Renewable Energy - A comprehensive buyers guide and business directory to more than 4500 renewable energy businesses and organizations around the world. Sunlight Electric - San Francisco Bay Area designer and retailer of commercial photovoltaic systems with a major focus on the sustainable food, beverage, and agriculture-related market sectors. University Center of Excellence for Photovoltaics Research and Education (UCEP) - The mission of the Center is to improve the fundamental understanding of the science and technology of advanced PV devices, to fabricate record high efficiency solar cells, to provide training and enrich the educational experience of students in this field, and to give the U.S. a competitive edge by providing guidelines to industry and DOE for achieving cost-effective and high-efficiency PV devices. Located at Georgia Institute of Technology. See also, UCEP Listing of Publications. Vote Solar Initiative - A non-profit organization with the mission of stopping global warming, fostering economic development and increasing energy independence by bringing solar energy into the mainstream. Wavegen - Researching, developing and manufacturing several innovative marine power systems that convert ocean wave power into electricity. Wavegen's devices are comprised of two basic elements: a collector to capture the wave energy and a turbo generator to transform the wave power into electricity. 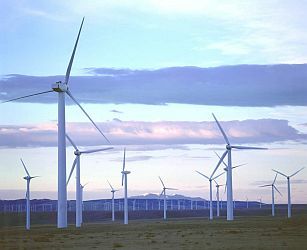 Wind Energy Development Programmatic Environmental Impact Statement (EIS) - Evaluates the potential impacts associated with the proposed action to develop a Wind Energy Development Program, including the adoption of policies and best management practices (BMPs) and the amendment of 52 Bureau of Land Management land use plans to address wind energy development. The Programmatic EIS also evaluates the No Action alternative and a Limited Wind Energy Development Alternative. Wind Power - Wikipedia article. Windpower Engineering and Development - News on all aspects of wind energy and the issues that make the renewable industry function. World Wind Energy Association (WWEA) - An international non-profit association embracing the wind sector worldwide, with members in 95 countries. WWEA works for the promotion and worldwide deployment of wind energy technology. This webpage last updated on Wednesday, September 6, 2017 9:40 AM.